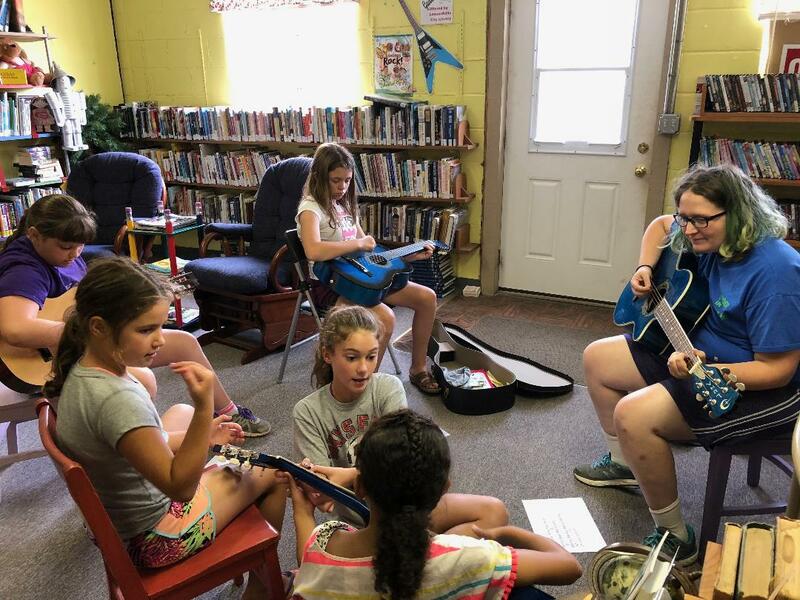 The Summer Reading theme for this summer was Libraries Rock, so one thing Leonardville City Library offered was guitar lessons. Here students are helping one another get the notes and we played simple songs like “Mary Had a Little Lamb”. Many guitar students learned that it is more difficult than it looks! We have 5 computers available for your use, including one that we reserve especially for adults. Help is also available if you are new to using the computer. 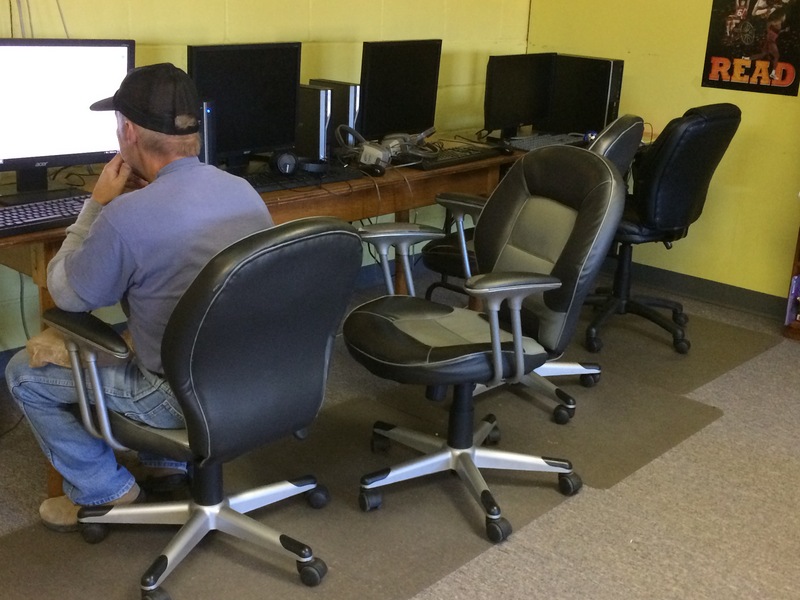 Computers are only one of the services offered by the Leonardville Library. We also allow you to print, make copies or laminate for a small fee. We can send faxes for you as well. Many services are also available through the state library. I can give you a card if you would like one.